LITTLE ROCK, Ark. 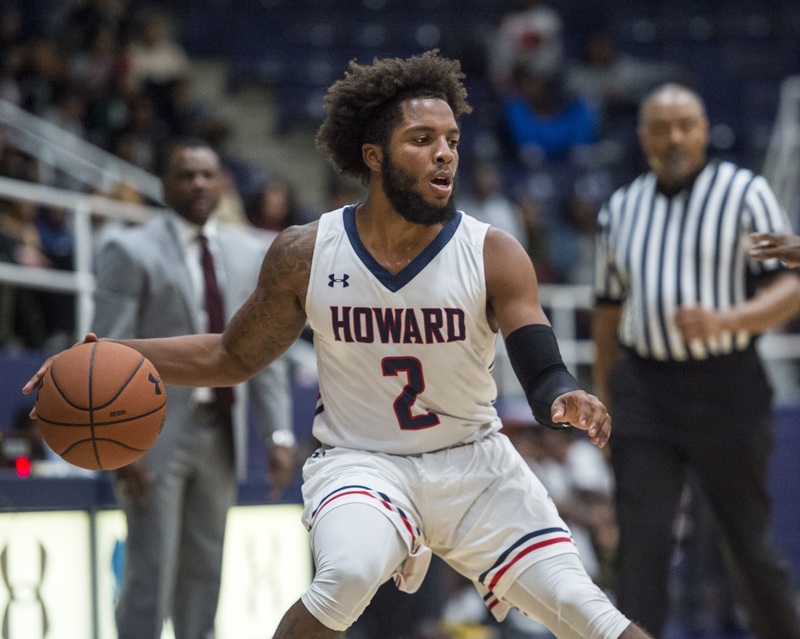 (November 24, 2018) – Howard University Men’s Basketball team rallied from 12 down to outlast the California Baptist (CBU) Lancers, 86-84, inside the Jack Stephens Center on the campus of the University of Arkansas at Little Rock. With the victory, HU snapped its brief two-game slide while improving to 5-2 on the season. The trio of sophomore RJ Cole (Union, N.J.), and juniors Charles Williams (Richmond, Va.) and Chad Lott (Shreveport, La.) combined for 69 points. Cole filled the stat sheet, scoring a season-high 31 points while grabbing six boards and five assists. Furthermore, the New Jersey native was selected to the all-tournament squad for his efforts. Williams had a bounce back game, finishing with 22 points on 9-of-17 shooting, while Lott added 16 points in the victory. HU reached the charity stripe 24 times in the win. Before today’s game, Howard averaged nearly 37 free throw attempts in the first four games, but only 11 freebies per contest in the last two outings. Newcomer Raymond Bethea, Jr. (Atlantic City, N.J.) provided a spark off the bench, connecting on three trey balls, including back-to-back long balls that put HU ahead at the 16-minute mark, 52-46. Overall, the Bison shot nearly 52-percent (31-of-60) from the floor, including 58-percent (18-of-31) after intermission. California Baptist (2-4) had three Lancers reach double figures, led by Dejon Davis with 26 points. Milan Acquaah netted 24 points while Jordan Heading produced 15 in a losing effort. On Dec. 4, Howard returns to the hardwood after more than a week away as they take on Appalachian State. Tip-off is set for 7 p.m.